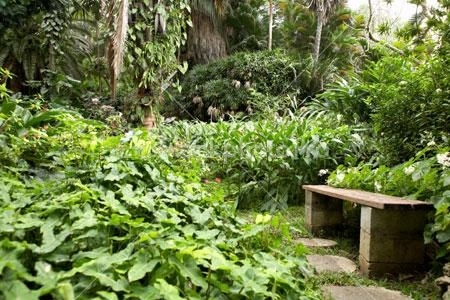 Nestled on a cliff, near the picturesque seaside village of Bathsheba and overlooking the East Coast of Barbados, lie the Andromeda Botanic Gardens. Andromeda was originally developed in 1954 by the late horticulturalist, Iris Bannochie, with exotic plants and blooms from around the world, creating one of the finest botanical gardens in the Caribbean. These lush gardens span 6 1/2 acres and include a collection of 650 species from the Caribbean, Tropical Americas, Africa, Asia, Australia and the Pacific Islands. One of the largest palms in the world, the Talipot Palm tree can be found in the gardens. This garden is now managed by Vicky Goddard for the National Trust of Barbados and is open to the public by paid admission. The University of the West Indies (UWI) has responsibility for the Research and Educational Activities at Andromeda.